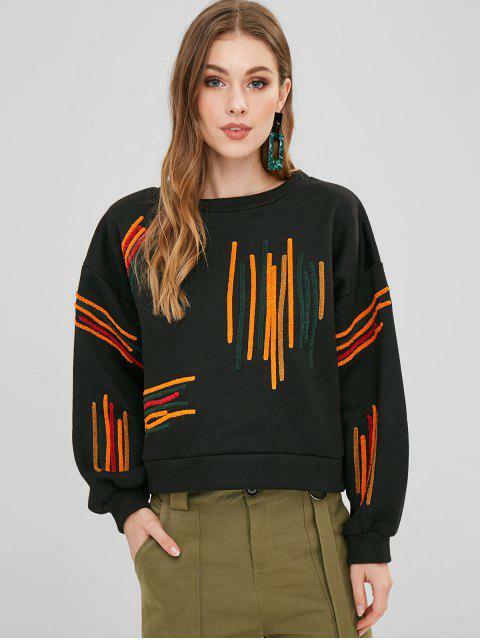 [31% OFF] 2019 Colorful Striped Fleece Oversized Sweatshirt In BLACK | ZAFUL .. It's comfy, sophisticated, and statement-making! It features a fleece lining, colorful stripe trims, and a baggy silhouette. Pair with high-waisted cargo pants and sneakers to finish.